Built To Connect Your Team. FieldFocus was founded by the company’s president, James Ehrlich, to streamline reporting between field teams and their back offices. After hearing about a chemical company’s safety department having four employees spend an entire month sorting, prioritizing, manually entering data and filing field reports, Mr. Ehrlich knew there had to be a better way. Inspired to help field workers and admins in every industry reclaim valuable time, Ehrlich launched FieldFocus (originally known as Safety Kick) as a mobile platform that could be used for real time data collection and instant report submission. FieldFocus is a completely customizable solution that is designed to collect virtually any information from the field. Contractors might use the app to track a construction job, restaurant managers could use it to ensure their staff members are following protocol, and event planners would benefit from the ability to schedule demo shifts and process time sheets. Mr. Ehrlich wanted FieldFocus to do more than just safety reporting, so he put the user first and provided unlimited ways to modify the app, thus providing the ability for each manager to build something that would fit their unique business needs and industry. 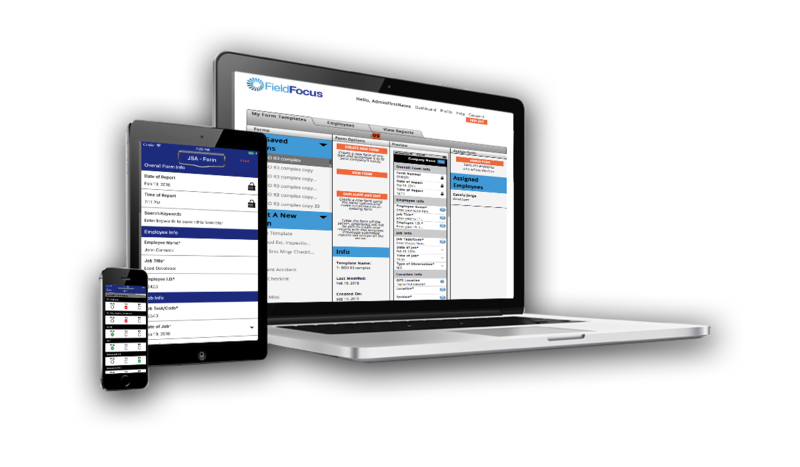 Whether it’s time sheets, equipment inspection reports, or another usage, FieldFocus was created to be your connectivity tool…whenever and wherever you want to use it. Flexibility and usability provided the backbone for the final app design, which grew to have two main strengths – a powerful, customizable form builder and a user-friendly platform for managing employees and reports. Mr. Ehrlich is proud of what FieldFocus has become because he’s seen the savings – time and money – it creates for users and knows that it’s making their lives easier and more efficient.